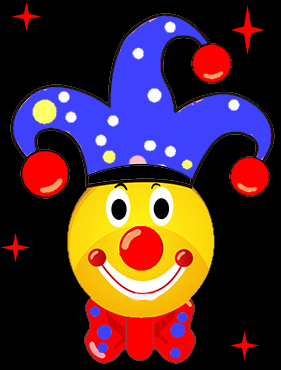 April Fools' Day is an annual celebration commemorated on 1st April by playing practical jokes and spreading hoaxes. The jokes and their victims are called April Fools. People playing April Fool jokes often expose their prank by shouting "April fool(s)" at the unfortunate victim(s). Some newspapers, magazines and other published media report fake stories, which are usually explained the next day or below the news section in smaller letters. Although popular since the 19th century, the day is not a public holiday in any country. No one is sure when April Fools' Day started. References can be found as early as the 1500s. However, these early references were infrequent and tended to be vague and ambiguous. Some say that it is because in 1582, France adopted the Gregorian calendar which moved New Year’s day to the 1st of January. Anyone who continued to celebrate New Year’s during the last week of March were often sent on “fool’s errands” and tricked into believing hoaxes by everyone else. The Romans celebrated the festival of Hilaria at the end of March, which involved disguises and rejoicing. In India, the festival Holi also known as the festival of colour. Participants throw coloured powder and water at each other. This holiday was held on the full-moon day of the Hindu month of Phalguna (usually the end of February or the beginning of March). The Jewish holiday Purim which takes place on 4th March, involves the wearing of disguises and bringing gifts of food from door to door. The Feast of Fools was celebrated in medieval Europe. A Lord of Misrule was elected who would parody Christian rituals. Both high and low officials would swap roles during the feast. It took place on the 1st January. British folklore links April Fools' Day to the town of Gotham, Nottinghamshire. According to the legend, it was traditional in the 13th century for any road that the King placed his foot upon to become public property. The citizens of Gotham heard that King John planned to travel through their town and they refused him entry, not wishing to lose their main road. The King sent soldiers to the town when he heard this and when the soldiers arrived in Gotham, they found the town full of lunatics engaged in foolish activities such as drowning fish or attempting to cage birds in roofless fences. The King fell for their foolery and declared the town too foolish to warrant punishment. Ever since then, according to legend, April Fools' Day has commemorated their trickery. While there is no evidence that April Fools’ descended from one of these festivals, it’s more than likely that it shares it's similarities because of humanities behaviour to celebrate the arrival of spring with good hearted mischief and revelry. Many countries also have their own traditions and names when it comes to April Fools’ day. In France and Italy, the tradition of putting a paper fish on an unsuspecting victim is known as poisson d’Avril (France) or pesce d’Aprile (Italy) which means April Fish. In Scotland, it was called Huntigowk Day although it has fallen into disuse. The name is taken from ‘hunting the gowk’ as a ‘gowk’ is a cuckoo but on 1st April it is referred to the victim who is sent off on a gowk hunt. He would be asked to deliver a letter. The letter would ask the recipient to send him to another person further ahead until finally the letter bearer realised he was being fooled. Now it is just known as Gowkie Day. In Portugal, it is common to throw flour at your friends. It is celebrated on the Sunday and Monday prior to Lent. In Poland, it is known as Prima Aprillis and is celebrated more or less the same as most other countries with fun, pranks and hoaxes.